Tamlin Homes is pleased to announce that we have extended our “FALL SPECIAL” on the ‘Clear Lake’ post and beam home model until December 31, 2011. The Clear Lake model is a 1744 square feet. An open floor concept with vaulted ceiling, exposed beams and expansive windows – for picture perfect views! 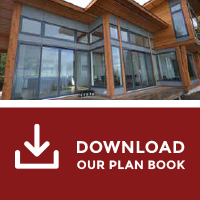 Choose a Tamlin “hybrid” timber frame or glulaminated structure and save up to $20,000 on this house package!